Below is also a list of publically available databases with tariff and tax information usually published by each country’s government. Tariff (duty) rates are listed by each product’s HS code. If you do not know it, find out how to determine your HS code. Select the first letter of a country’s name to go directly to the section. TARIFF RESOURCE: Tariffs range of 0-25 per cent. See also Afghanistan Customs. Applied on FOB. For shipments to US Military see Procedures Guide. TAX: Fixed tax 2 per cent FOB + duty. Business receipt tax 2 per cent FOB + duty. Other tax: 2 per cent Red Crescent tax. Other useful tax information: see Afghanistan Customs website. TARIFF RESOURCE: WTO Tariff Database, use the applied rates (Free. Requires Registration.) Or Algeria Tariff Rates for Textile Products. TAX: Most products are subject to a 17 percent value-added tax. The value-added tax for some products is 7 percent. There is also a Customs user fee of 4 percent and Customs Formality Charge of 2%. 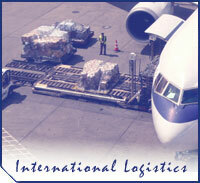 Fees are applied on CIF, while taxes are on CIF + duty + customs fees. TARIFF RESOURCE: WTO Tariff Database, use the applied rates (Free. Requires Registration.) Or COTECNA Tariff Book or Angola Government Website (in Portuguese). TAX: There is a value added tax of 2 - 30 percent depending on the good, applied on CIF + duty; additional fees include clearing costs (2 percent applied on CIF), revenue stamp (0.5 percent applied on FOB), port charges ($500/20 foot container or $850/40 foot container), and port storage fees (free for first 15 days but rarely do goods clear port within the grace period). TARIFF RESOURCE: Armenia Customs or WTO Tariff Database, uses the applied rates on CIF. Free. Requires registration. Tariff rates vary from between 0% for most items to 10% for many consumer goods. TAX: Most products are subject to a 20% Value Added Tax (VAT), calculated on CIF + Duty. TARIFF: WTO Tariff Database (Aruba is not a complete member of the WTO. ), use the applied rates on CIF. Free. Requires registration. Applied on CIF. TAX: There is a 5 percent customs surcharge on CIF and a 15 percent consumption tax also applied on CIF. TARIFF RESOURCE: Azerbaijan State Customs Committee applied on CIF value. TAX: Most products are subject to an 18% Value Added Tax (VAT), applied on CIF + Duty. TARIFF: Bahamas Customs. Requires Registration. The basic ad valorem tariff rate is 35 percent. Several products have separate rates. Duty rate is applied on CIF value. TAX: There is a 2-7 percent tax applied on CIF + duty. TARIFF RESOURCE: Benin applies the West African Economic and Monetary Union’s Common External Tariff available from IZF (French only). TARIFF RESOURCE: WTO Tariff Database uses the applied rates. Requires registration. Applied on CIF. TAX: You can find Brazilian import duty and taxes for foreign products using an external website Import Tax Guide. Bound tariffs at HS 6-digit subheading level. Latest available MFN applied tariffs at HS 6-digit subheading level. TARIFF RESOURCE: WTO Tariff Database, use the applied rates. Applied on CIF. TARIFF RESOURCE: Burkina Faso applies the West African Economic and Monetary Union’s Common External Tariff available from IZF (French only) or Cotecna Tariff Book. Duty applied on CIF. TAX: There is an 18 percent value added tax (VAT), a 1 percent statistical tax, and a 1 percent community solidarity levy. Agricultural, industrial, agro-industrial, livestock breeding, and the fishing industry products may be subjected to 2.5 – 10 percent additional taxes. All taxes are applied on CIF. TARIFF RESOURCE: East African Community Common External Tariff. Applied on CIF. TAX: Burundi has an 18% Value Added Tax (VAT) calculated on CIF+Duty. TARIFF RESOURCE: Customs Info Database. Free. Requires registration. WTO Tariff Database, use the applied rates (Free. Requires Registration.) or Cambodia Customs. Duty applied on CIF. TAX: There is a 10 percent value added tax for most products applied on CIF + duty. TARIFF: Cameroon applies the Economic and Monetary Community of Central Africa’s Common External Tariff available from IZF (French only). At Cameroon and WTO look for “Get tariff data”. Applied on CIF. TAX: There is an 18.7 percent Value Added Tax applied on CIF + duty. An Excise Tax (indirect tax on consumption goods) of 25 percent on CIF may also apply for specific categories of goods defined by ministerial ordinance may apply. TARIFF RESOURCE: Canadian Customs (for the FTA rate look up under CCCT). WTO Tariff Database, use the applied rates. Requires registration. Applied on CIF. TAX: VAT 5 % (FOB+DUTY). Note: Harmonized Sales Tax or Provincial tax may apply. TARIFF RESOUCES: Cayman Islands Customs. Applied on CIF. TAX: No known tax information. TARIFF: At Central African Republic and WTO look for “Get tariff data”. There is a 5 percent duty on basic necessities, 10 percent on raw materials and capital goods, 20 percent on intermediate and miscellaneous goods, and 30 percent on consumer goods. Duty rate is applied on CIF. TAX: Turnover tax and Community Integration tax may apply, as well as excise taxes on products such as beer, wine and spirits, tobacco, perfumes, and cosmetic products (further definitive information is not available). TARIFF: Chad applies the Economic and Monetary Community of Central Africa’s Common External Tariff available from IZF (French only). WTO Tariff Database, use the applied rates. Requires registration. Applied on CIF. TAX: There is an 18 percent value added tax on CIF + duty. Also, there is a 10% Turnover Tax. Other taxes include a Community Integration Tax subject to intermediate and consumer goods entering for consumption. An Excise tax is charged on alcohol, tobacco, cosmetic products, household electrical products, eggs and salt. All taxes except the Value Added Tax are applied on the CIF. TARIFF RESOURCE: China Tariff Schedule. WTO Tariff Database, use the applied rates. Requires registration. e-to-China (Registration required). Applied on CIF. TAX: 17.0000% Applied on CIF+DUTY. Provincial tax may also apply. TARIFF RESOURCES: WTO Tariff Database. Applied on FOB. The Democratic Republic of Congo applies the Common Market for Eastern and Southern Africa’s Common External Tariff of 0% for capital goods and raw materials, 10% for intermediate products, and 25% for finished products. TAX: There is a 3 or 13 percent Turnover Tax applied on CIF + duty. TARIFF: Congo applies the Economic and Monetary Community of Central Africa’s Common External Tariff available from IZF (French only). Other resource is Cotecna Tariff Book. Duty applied on CIF. TAX: There is a 10 or 18 percent Turnover Tax applied on CIF + duty. A Community Integration tax may apply, as well as excise taxes on products such as beer, wine and spirits, tobacco, perfumes, and cosmetic products (further definitive information is not available). TARIFF RESOURCES: Côte d’Ivoire applies the West African Economic and Monetary Union’s Common External Tariff available from IZF (French only). TAX: There is a 15-20 percent value added tax (VAT), a 1 percent statistical tax, and a 1 percent community solidarity levy. Agricultural, industrial, agro-industrial, livestock breeding, and the fishing industry products may be subjected to additional taxes. Levy and taxes are applied on CIF, except for VAT that is applied on CIF + duty + levy + all other taxes. TARIFF: There is a 5 percent duty on basic necessities, 10 percent on raw materials and capital goods, 20 percent on intermediate and miscellaneous goods, and 30 percent on consumer goods. Duty rate is applied on CIF. TAX: There is a 5-12 percent turnover tax, a 15-40 percent Fiscal Tax and a possible Excise Tax. All taxes are applied on CIF. TARIFF RESOURCES: Eritrea applies the Common Market for Eastern and Southern Africa’s Common External Tariff of 0% for capital goods and raw materials, 10% for intermediate products, and 25% for finished products. TAX: There is a value added tax of 22 percent for most products. Some products, such as basic necessities and foodstuffs, qualify for a reduced tax. TARIFF RESOURCES: Ethiopia applies the Common Market for Eastern and Southern Africa’s Common External Tariff of 0% for capital goods and raw materials, 10% for intermediate products, and 25% for finished products. TAX: There is a value added tax of 15 percent for most products, 1 per cent municipality tax and 0-12 per cent sales tax. Applied on CIF+duty. TARIFF RESOURCE: Cotecna's Ghana Tariff Book. Applied on CIF. TAX: There is a 12.5 percent value added tax on most products applied on CIF + duty. There are additional taxes on some products. A Special Tax of 10 percent applied on the CIF + Duty is imposed on selected commodities, and an Excise Tax of applied on CIF is imposed on selected products. TARIFF RESOURCE: Customs Info Database. Free. Requires registration. Duties applied on CIF or Guinea-Bissau applies the West African Economic and Monetary Union’s Common External Tariff available from IZF (French only). Tariff Resource: The Hong Kong Special Administrative Region (HKSAR) is a free port and does not levy any Customs tariff on imports and exports. There is also no tariff quota or surcharge, or value added and general services taxes. Excise duties are levied only on four types of dutiable commodities, namely liquors, tobacco, hydrocarbon oil and methyl alcohol. TARIFF RESOURCE: India Exim Guru. WTO Tariff Database, use the applied rates. Requires registration. Applied on CIF. TAX: CVD, Customs Education/CESS and Special additional Duties may apply. TARIFF: There are no duties for products going to Iraq. TAX: A reconstruction levy of 5 percent of the total taxable customs value of all goods imported into Iraq from all countries will be applied. Exceptions are food, medicine, clothing, books, humanitarian goods; goods imported by the CPA, Coalition forces, reconstruction contractors, NGOs, international organizations, diplomats, and Coalition governments; and goods imported under Oil for Food contracts. Coalition Provisional Authority (CPA) Orders #38 and #47 outlining this can be found on the CPA website by clicking on "CPA Documents" and then "Orders." TAX: There is a 16 percent value added tax applied on FOB + duty. TARIFF RESOURCE: Government of Lebanon Customs Tariff Schedule. TAX: There is a 10 percent value added tax on CIF + duty. TARIFF RESOURCE: Malaysia Customs. Applied on CIF. TAX: There is 18 per cent standard VAT (5% computer goods and medical devices) and an excise tax of 5-62 per cent. Applied on CIF + duty. TARIFF RESOURCE: WTO Tariff Database, use the applied rates. Requires registration. TAX: There is 10 per cent VAT and 0-25 per import tax. Applied on CIF + duty. TARIFF RESOURCE: Mali applies the West African Economic and Monetary Union’s Common External Tariff available from IZF (French only). TAX: There is a 15-20 percent value added tax, a 1 percent statistical tax, and a 1 percent community solidarity levy. Agricultural, industrial, agro-industrial, livestock breeding, and the fishing industry products may be subjected to additional taxes. Levy and taxes are applied on CIF, except for VAT that is applied on CIF + duty + levy + all other taxes. TAX: 15 percent value added tax (VAT) assessed on most items with some exceptions; see above schedule for VAT information in addition to customs duty. Tax is applied on CIF + duty. TARIFF RESOURCE: Mexican Customs Duty; Requires registration. WTO Tariff Database, use the applied rates. Applied on CIF. TAX: There is a 17 percent tax applied on CIF + duty for all products. There are also a customs processing fee of $50 USD and a possible excise tax, both applied on CIF. TARIFF RESOURCE: COTECNA Niger Tariff Book. Applied on CIF. TAX: There is a 15-20 percent value added tax, a 1 percent statistical tax, and a 1percent community solidarity levy. Agricultural, industrial, agro-industrial, livestock breeding, and the fishing industry products may be subjected to additional taxes. TARIFF RESOURCES: Cotecna's Niger Tariff Book or use Official Tariff Schedule of Nigeria Customs Service. Applied on CIF. TAX: There is a 10 percent value added tax applied on CIF + duty. TARIFF RESOURCE: Rwanda applies the Common Market for Eastern and Southern Africa’s Common External Tariff of 0% for capital goods and raw materials, 10% for intermediate products, and 25% for finished products. Duties applied on CIF. TAX: There is an 18 percent value added tax on virtually all goods with the exception of most products in Chapter 49 of the tariff schedule. The tax is applied on CIF + duty. TARIFF RESOURCES: COTECNA Tariff Book. Applied on CIF. TARIFF RESOURCE: Customs Info Database. Free. Requires registration. Applied on CIF. WTO Tariff Database, use the applied rates. Requires registration. TAX: There is a 15 percent value added tax for most products applied on CIF + duty. There is an additional 10 percent surcharge on many products as well.